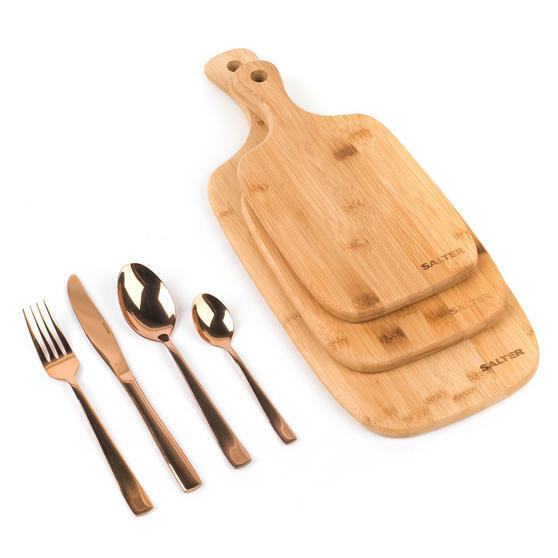 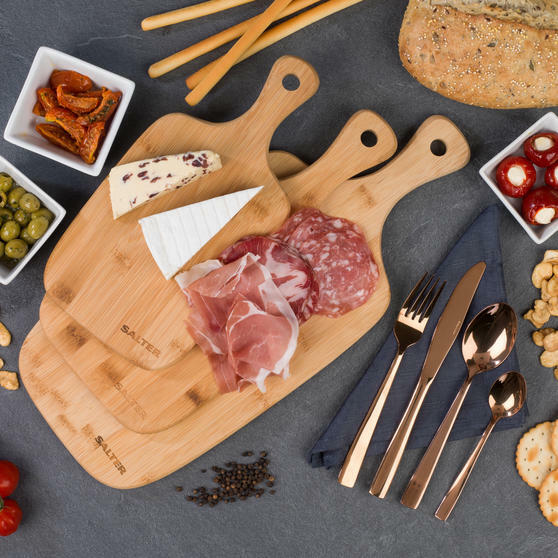 Serve food and dine in style with this exquisite Salter rose gold cutlery with bamboo paddle board set, inspired by classical design. 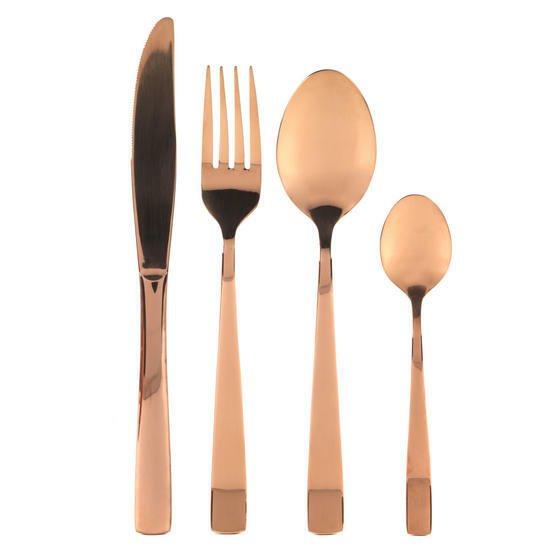 Ideal for creating a distinctive dining look, this 16 piece set contains 4 knives, 4 forks, 4 tablespoons and 4 teaspoons made from mirror polished stainless steel with a rose gold coating. 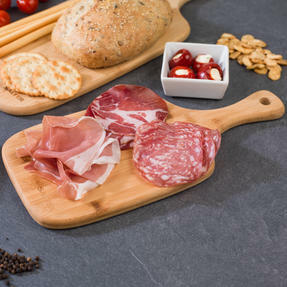 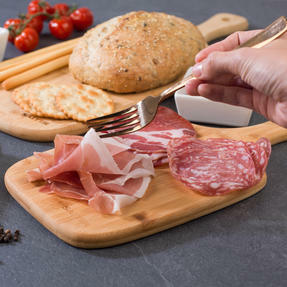 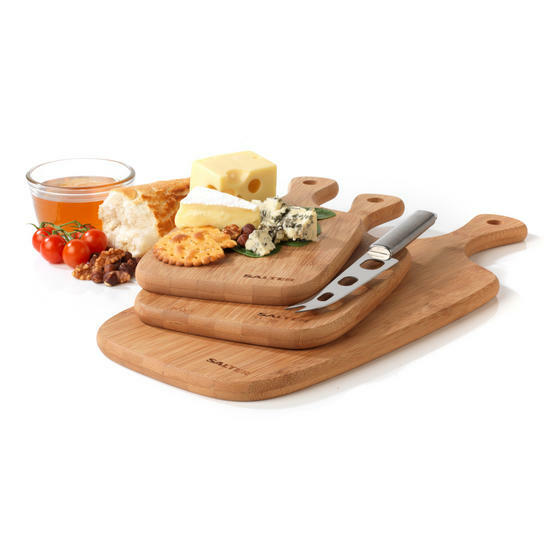 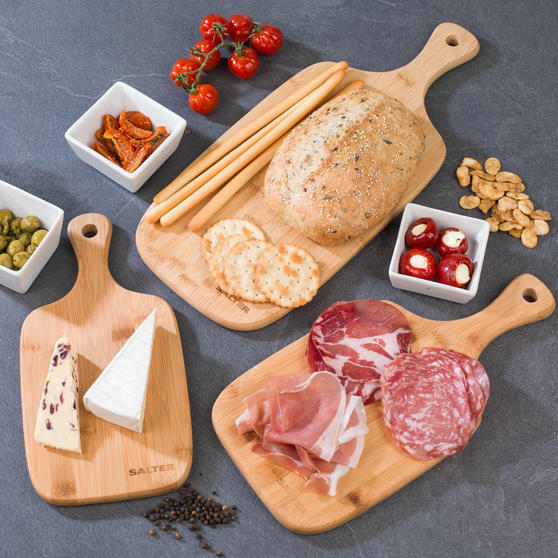 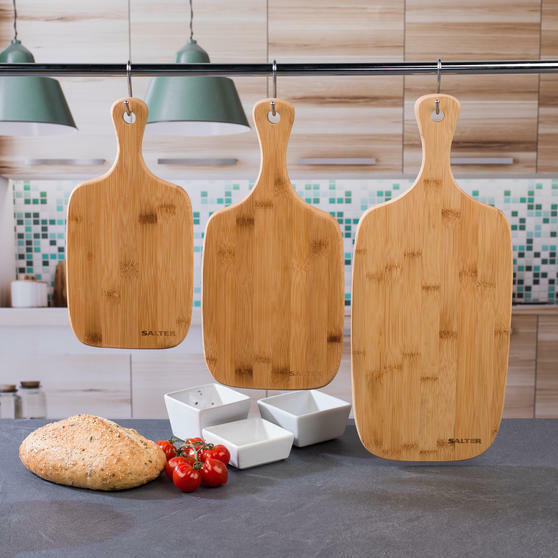 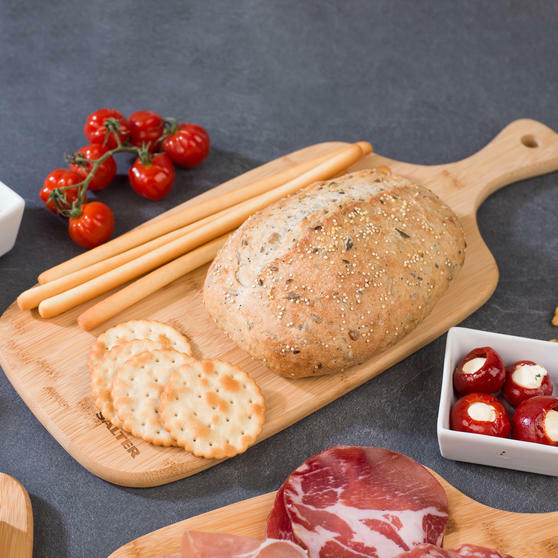 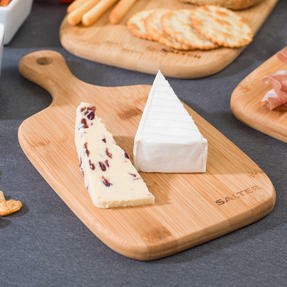 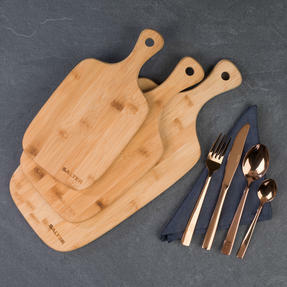 Brilliantly versatile, you can use the boards every day whilst preparing ingredients for meals or serve cheese, cooked meats and more when you have guests. 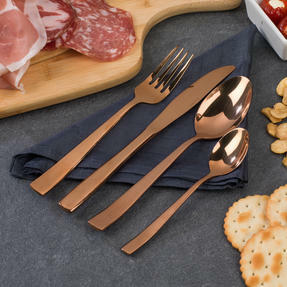 Made from high quality stainless steel with a rose gold coating, the cutlery is designed to enhance your dining experience.